This Nixie Module is Discontinued Now, We recommend leds as a suitable replacement. 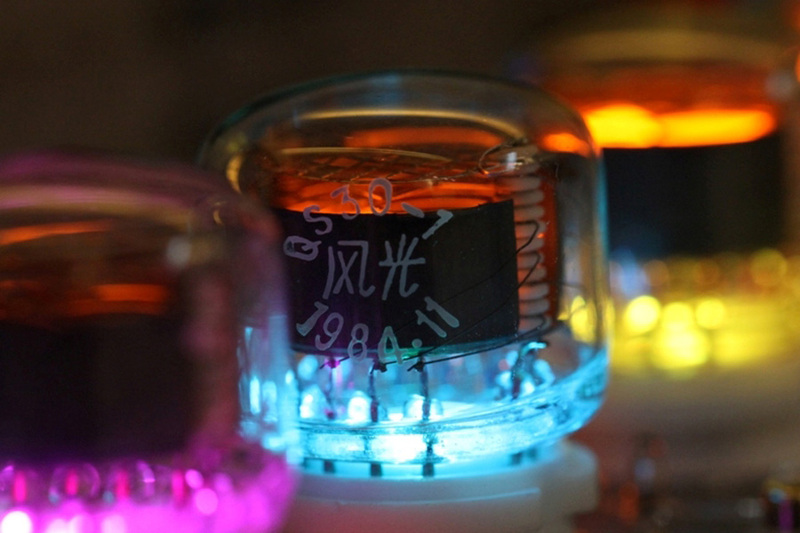 Nixie tube, a product of last century, witnessed the development of the electronic technology history. Its' unique display effects makes it an unforgettable design. The Nixie tube is extremely rare in the market. This Nixie module is limited in quantity. 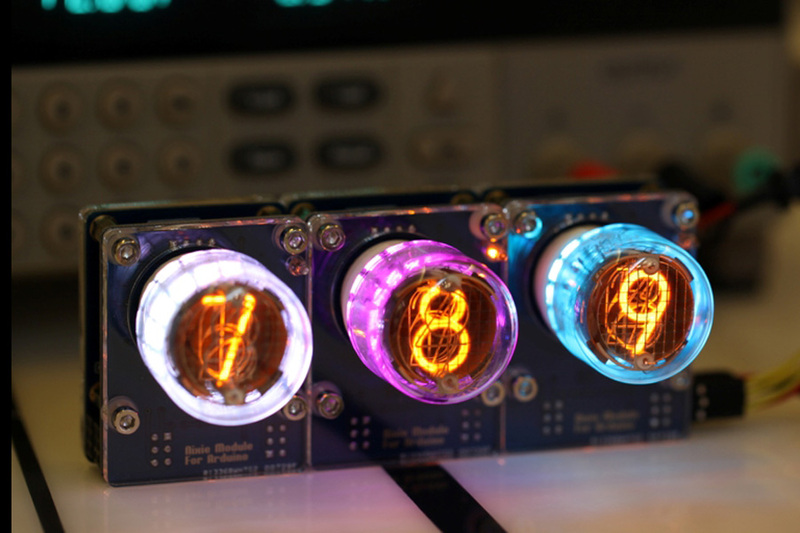 This Nixie module for Arduino makes it prossible to drive the Nixie tube directly. This classic nixie tube combines a ceramic tube base, gold‐plated PCB, and an RGB background LED. This module can be used in a variety of applications. It is an all‐in‐one design. Boosted circuit, driver, and plug sockets are integrated. Several modules can be plugged in serial for customized needs. This makes controlling nixie modules much easier, especially for Arduino, and other similar platforms. Users can focus on the presentation and application, no need to worry about the voltage management or connections. With 4 or 6 Nixie tube, a classic and fashion clock is just up and show. Cautions: The voltage on board is over 170V DC when working. Do NOT touch inside the crylic board if you do not know what you are doing!